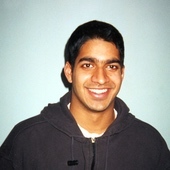 BIOGRAPHICAL INFORMATION: Ketan Gada grew up in Minnesota. His parents emigrated from India. His mother was one of the founding members of SILC. As a child, he attended SILC for about 10 years. 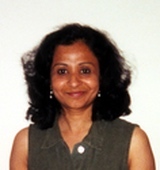 BIOGRAPHICAL INFORMATION: Neena Gada was born in India and immigrated to the U.S. as an adult. She is one of the founding members of SILC. She has served as a teacher, administrator and board member. 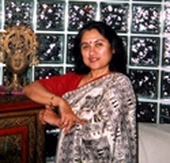 BIOGRAPHICAL INFORMATION: Preeti Mathur was born in India and immigrated to the U.S. as an adult. She is one of the founding members of SILC. She has served as a teacher, administrator and board member. BIOGRAPHICAL INFORMATION: Shruti Mathur was born in the U.S. Her parents emigrated from India. Her mother was one of the founding members of SILC. As a child, she attended SILC for about 10 years and later served as a teacher's aide. BIOGRAPHICAL INFORMATION: Manas Menon was born in the U.S. His parents emigrated from India. As a child, he attended SILC for about ten years. More recently, he has served as a teacher. 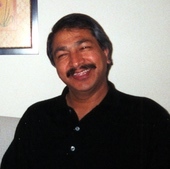 BIOGRAPHICAL INFORMATION: Rajan Menon was born in India and immigrated to the U.S. as an adult. He has served in various capacities at SILC. BIOGRAPHICAL INFORMATION: Rita Mustaphi was born in India and immigrated to the U.S. as an adult. She is one of the original founders of SILC, and taught dance at SILC for a number of years. BIOGRAPHICAL INFORMATION: Godan Nambudiripad was born in India and emigrated to the U.S. as an adult. He served as a teacher, administrator and board member and participated as an adult student at SILC. 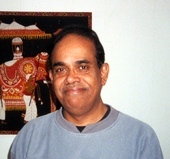 BIOGRAPHICAL INFORMATION: Rama Padamnashan was born in India and immigrated to the U.S. as an adult. She served as a teacher, administrator and board member at SILC.